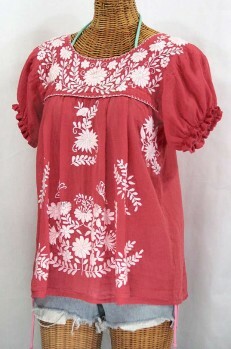 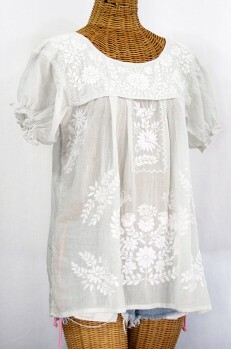 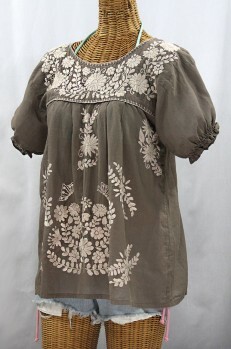 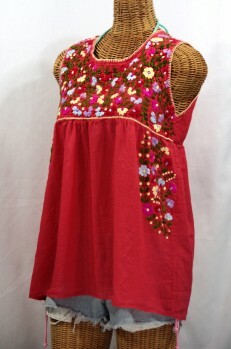 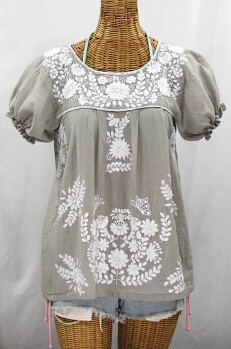 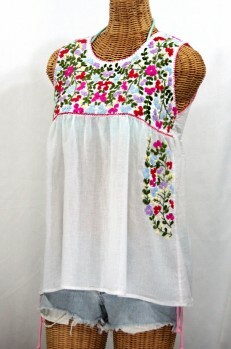 Our hand embroidered Vintage Mexican-style peasant tops capture the essence of the beach gypsy's lifestyle: Freewheeling and adventurous; care-free and ever beautiful. 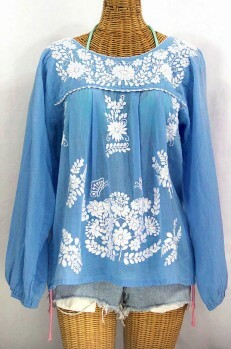 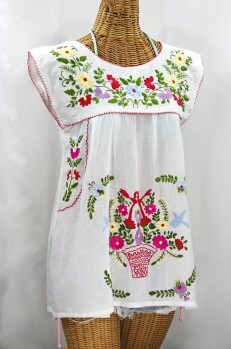 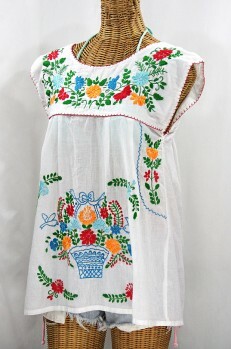 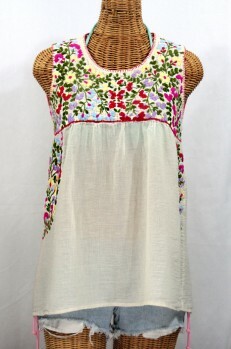 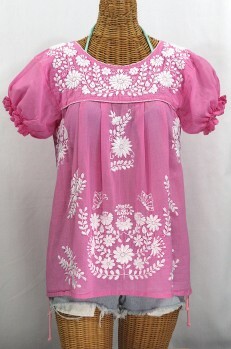 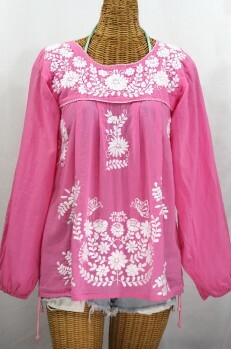 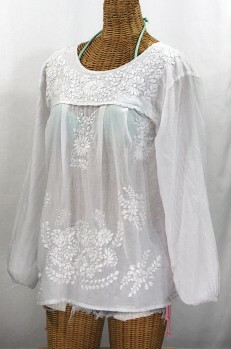 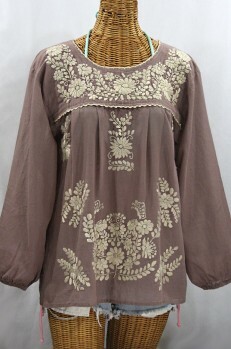 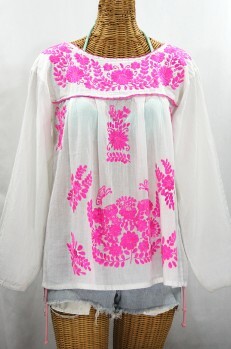 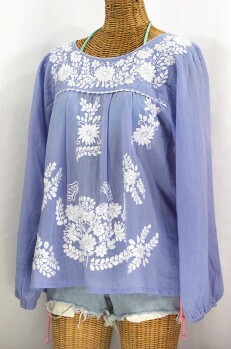 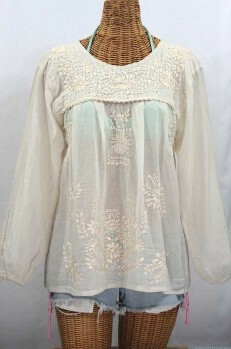 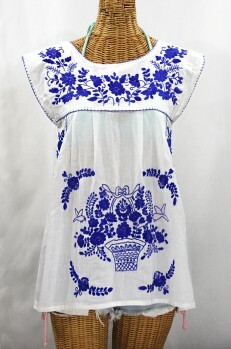 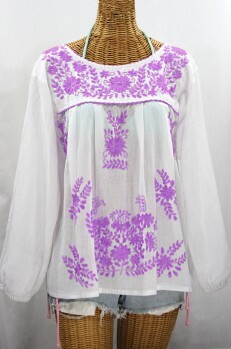 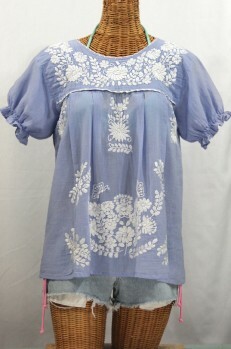 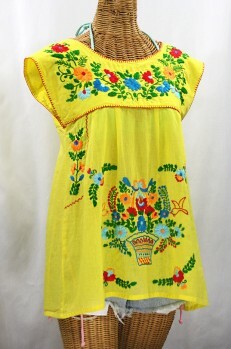 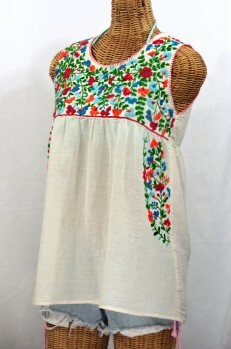 Light and airy cotton fabric caringly embroidered by hand. 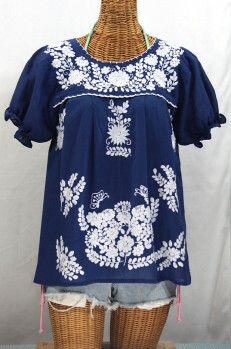 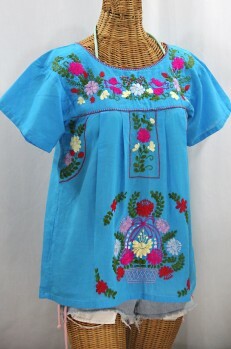 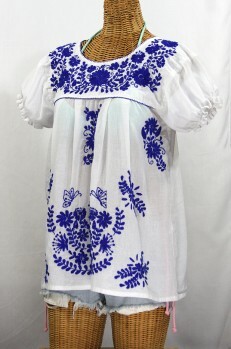 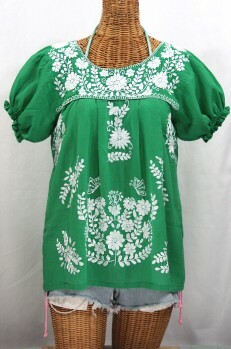 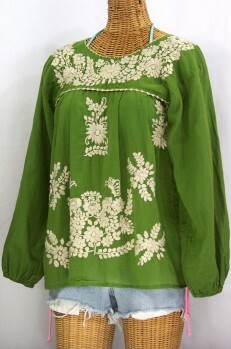 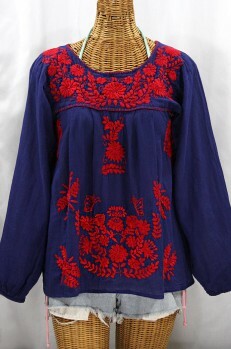 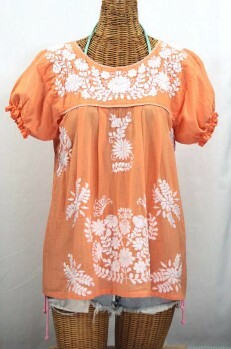 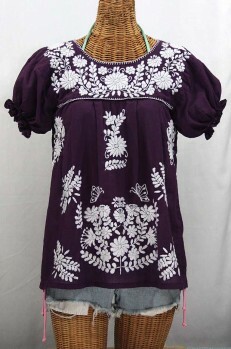 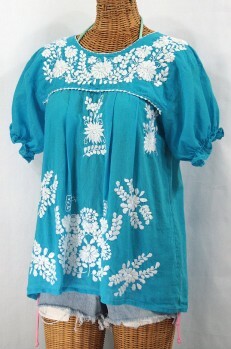 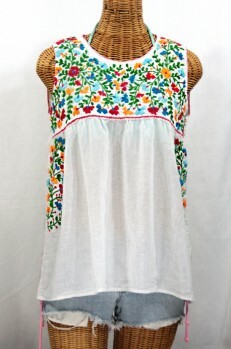 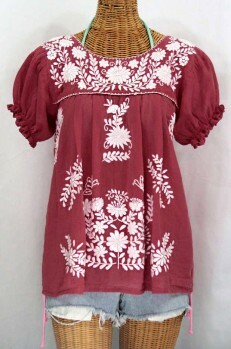 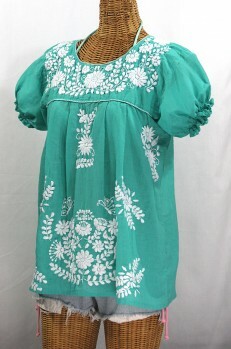 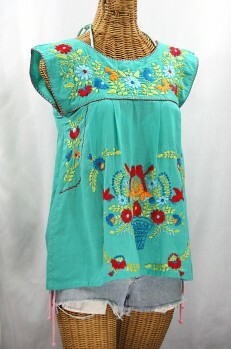 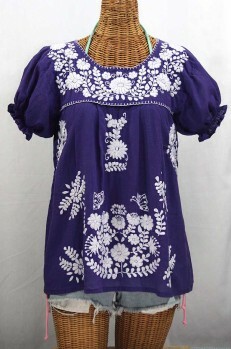 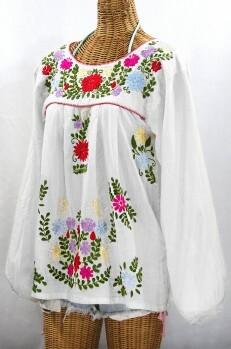 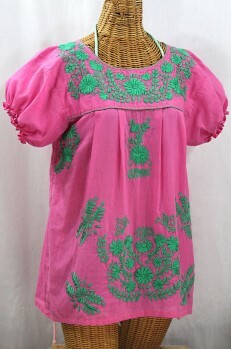 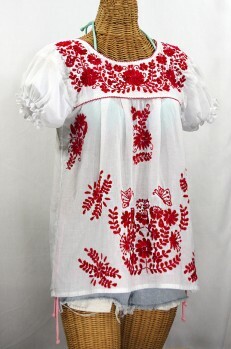 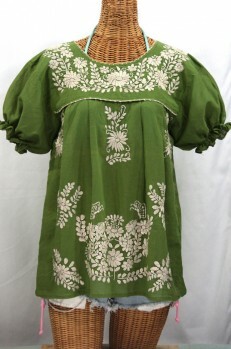 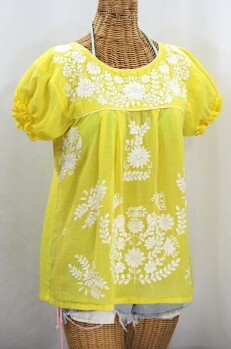 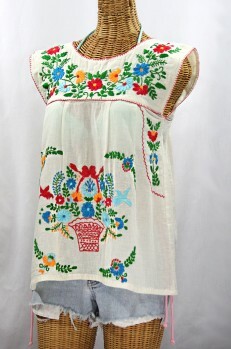 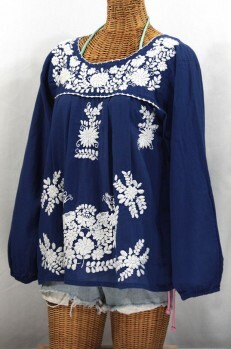 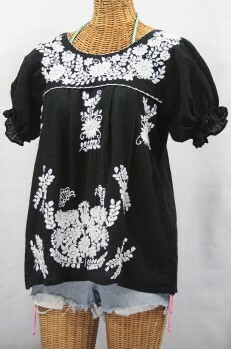 Also known as Women's Huichol and China Poblana Blouses, Mexican peasant tops are perfect apres surf attire on hot summer afternoons. 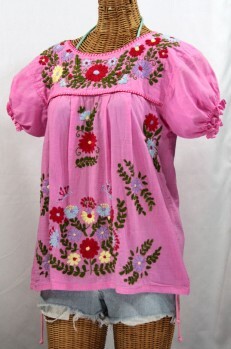 Our colorful floral patterns are faithful tributes to the time honored traditional Oaxacan Mexican peasant blouses and peasant tops that came to prominence in the 1970's.